Finding the perfect make up products for your skin type can often be frustrating. BB creams are one of the latest beauty trends on the makeup market. With so many brands to choose from how do you know which would be best for you? Dry skin plagues millions of women. It can be hard to find make up that won’t settle into flakes, cause irritation, or even make your skin dryer. BB creams are a perfect balance between a tinted moisturizer and foundation that not only provides intensive moisture for your skin, but also offers skin care benefits. Finding the right product all depends on what you want out of your BB cream. Here are the top five BB creams that are guaranteed to soothe that dry skin and provide you with a flawless face. 1. Bobby Brown Broad Spectrum SPF 35 BB Cream. This “Beauty Balm” has topped the charts at Sephora for a BB cream that hydrates while providing your skin with several anti-aging properties. 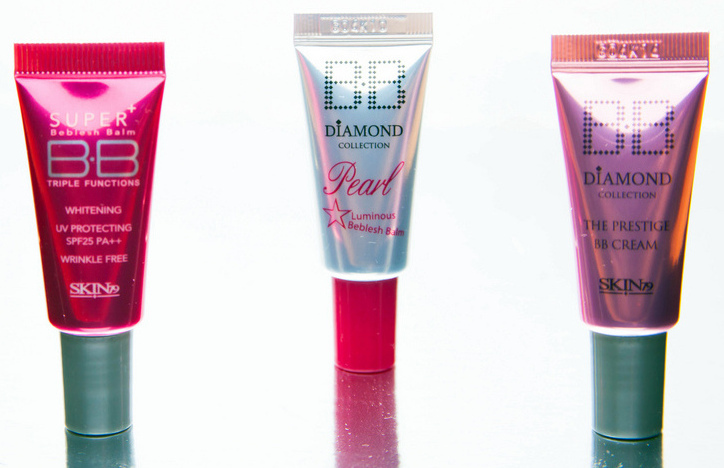 This BB cream comes in 9 shades ranging from extra-light to deep. Sephora states that this BB cream moisturizes, evens skin tone and texture, and protects-from the start of usage and over time. The formula involves water-attracting molecules that boost moisture and hydration, light reflective pearls that lighten and brighten skin tone, botanical extracts along with caffeine to reduce hyper pigmentation and discoloration, pore refining peptides to minimize the look of fine lines and wrinkles, and to top it off a broad spectrum UVA/UVB protection with an SPF of 35 to eliminate future damage. Consider this product to be you new B.F.F in fighting the battle against dull dry skin. 2. Shiseido Perfect Hydrating BB Cream Broad Spectrum SPF 35. This BB Cream has been hailed the Holy Grail of many beauty bloggers who suffer from dry skin. This BB cream offers skincare benefits that include skin brightening, pore concealing, protection against UV damage, and intensive hydration for your dry skin. The only down side to this BB cream is that it only comes in two shades, medium and dark. It has been noted as a must have by Sephora as an oil-free BB cream that hydrates and protects the skin while still providing a luminous complexion. The formulation of this product involves two antioxidant ingredients, thiotaurine, which inhibits the oxidation of sebum that causes damage to your skin, and rose apple leaf extract, which has been proven to prevent DNA damage cause the the sun. This product allows your dry skin to be smooth, hydrated, and flawless. 3. Philosophy Hope In A Jar A TO Z Broad Spectrum SPF 20 Suncreen Complexion Perfecting BB Cream. Of coarse there couldn’t be a Top 10 list without a Philosophy “Hope” product making the cut. Philosophy has been making products women love for years, and this one has topped the list for those women with dry skin. It is a light to medium coverage that doesn’t settle in those fine lines and wrinkles. This product comes in three shades, light, medium, and tan to dark. It also provides your skin with loads of anti-aging benefits. First off this product is formulated without parabens, and it claims to have everything you need in your skin care routine from “A-Z”. With Philosophy skin care products ranging from 50 to 100 dollars a pop, how great to have them all in one! This product takes the place of your primer, moisturizer, and sunblock that adds a light build-able coverage made to camouflage those imperfections and hydrate that dry skin for hours. 4. Lioele Triple The Solution BB Cream SPF 30. This BB cream is all the rage on the Korean market right now and has recently made it’s debut U.S. Asian BB creams have been touted as having a fuller coverage and more of a foundation feel to them. This product is just that. It is not like Western BB Creams that offer a few anti-aging properties with a sheer finish like that of a tinted moisturizer. This product provides your skin with deep rich hydrating properties. It is formulated with yoghurt powder and hyaluronic acid to moisturize your dry skin. It also has strawberry and tangerine extracts that lighten and brighten your skin tone. 5. Peter Thomas Roth BB Blur Broad Spectrum 30. Peter Thomas Roth has given us another skin care product that has changed how we feel about BB creams. This product is not only great for dry skin, but all skin types, which is rather unusual when it comes to a good BB cream. This product is infused with a mineral complex that includes diamond powder, peptides, squalane and Vitamin E that are all proven to help the appearance of skin tone and imperfections, fine lines and wrinkles. This product comes in two shades that range from sheer to medium coverage. Reviews on Ulta have put this beauty balm at the top of the charts for all skin types.